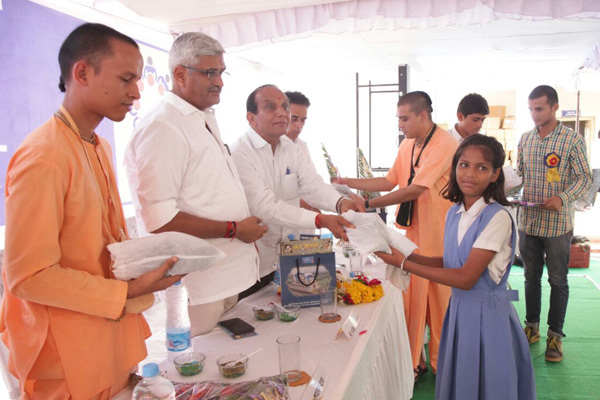 In August, Akshaya Patra launched a shoe distribution programme in two districts of Rajasthan – Jodhpur and Baran. More than 25,000 pairs of brand new shoes by US-based footwear manufacturer TOMS will be distributed to school children through this initiative in the coming days. The inaugural event was graced by numerous dignitaries, namely Mr Gajendra Singh Shekhawat, Member of Parliament (MP); Mr Jogaram Patel, Member of Legislative Assembly (MLA); Mr Ghanshyam Ojha, Mayor of Jodhpur; Mr Devendra Salecha, Deputy Mayor of Jodhpur; and Mr Ummed Singh, Member of Panchayat Samiti.